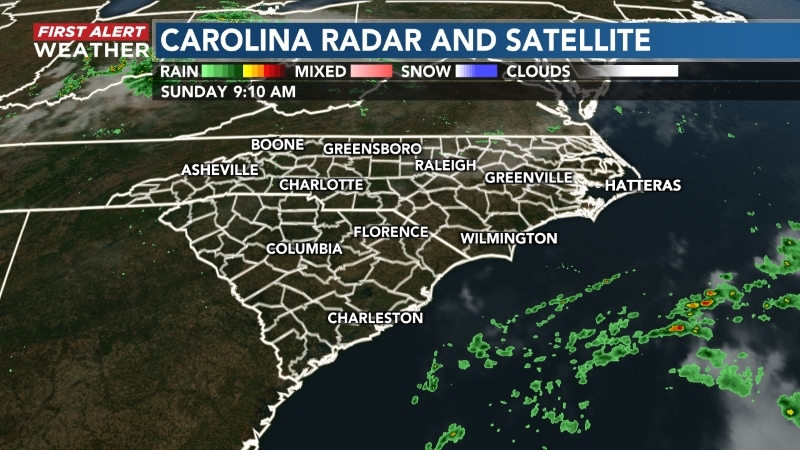 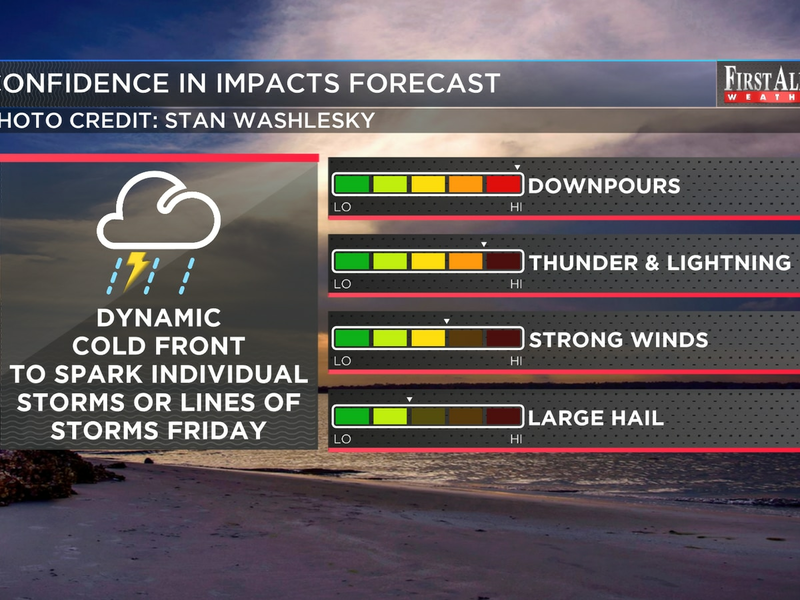 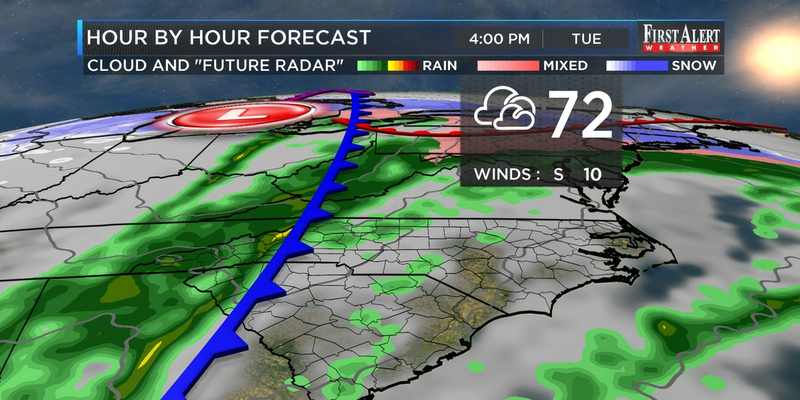 - Rain gear ready...Tuesday, a few passing showers and possibly a thunderstorm or two will be likely as a front moves through the Cape Fear Region. 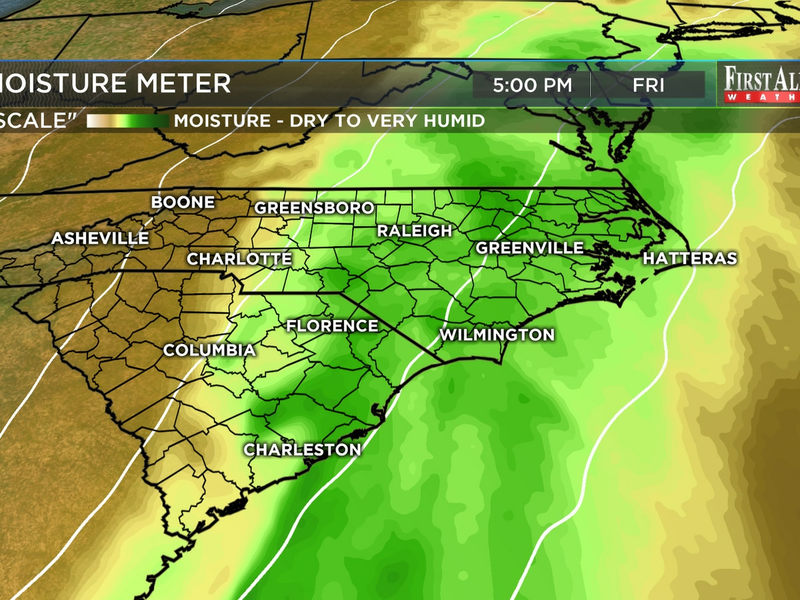 An umbrella may not be the best choice as winds will be elevated enough to turn it inside out! 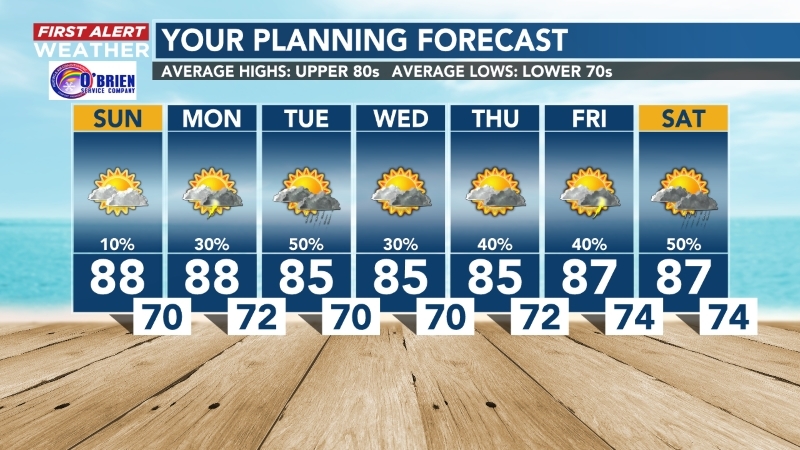 - Unsettled trend... Expect on and off shower activity Friday though early next week as as series of fronts will parade through the area.